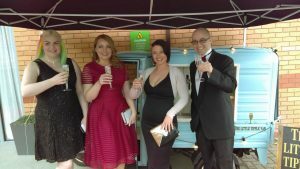 On 1st April 2017 over 100 guests joined us on the red carpet at the Holiday Inn Tongwynlais at our very first gala dinner. 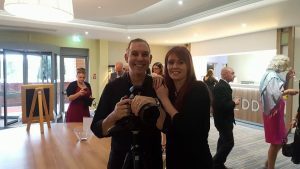 Our guests sipped prosecco and struck a pose for our event photographer. 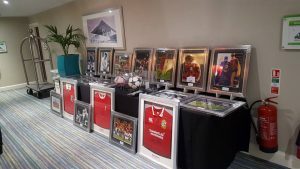 During the drinks reception, our guests had time to peruse the silent auction lots provided by The Events Room before making their way into the dining hall. The tables were certainly dressed to impress. 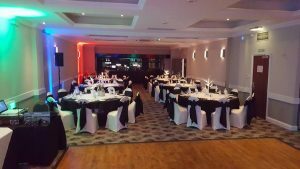 The grand L-shaped room was filled with tables swathed in stylish black and white, with beautiful tree-like centrepieces providing the perfect amount of light for an intimate feel in a large room. The delicious meal was followed by our lovely founder, Karen Sullivan, making a moving speech about how AP Cymru started, leaving those in the room a lot glassier eyed than they started. 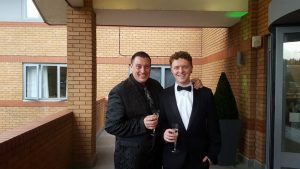 The tears of empathy were quickly followed by tears of laughter when our three fantastic comedians for the night – Jethro Bradley, Calum Stewart, and Noel James, compered by the wonderful Col Howarth – took to centre stage. 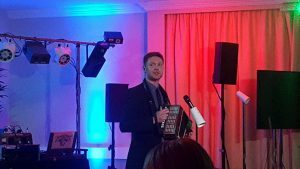 From deadpan stories, to quick one-liners; surrealist accordion playing, to classic puns they had it all covered and our guests were thoroughly entertained. 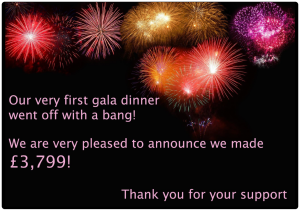 The raffle draw, auction winner announcement, and disco rounded off the spectacular event. 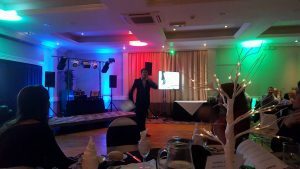 This event raised a whopping £3,799!